Apple first brought podcasts to iTunes in 2005, and now they're pushing for them again in iOS 6. Unfortunately, as time marched on, podcasts were pushed to the side and left pretty much unattended. iOS has always had minimal support for podcasts, and even iTunes itself offers no real compelling way to manage your subscriptions. What makes today’s announcement big is that it marks a new, renewed effort on Apple’s part to make podcasts a key part of their iTunes ecosystem. No longer are podcasts simply another section in the iTunes app, they’ve now been brought to the forefront with a great dedicated app, similar to what Apple did with iTunes U not long ago. There are several reasons why Apple may have decided to do this. The first, and most obvious reason is that podcasting as a medium of distributing information has surged in popularity recently. Even just within the technology space podcasts are becoming a popular way to spread information. Shows such as those on the 5by5 network, and everyone’s favorite, The CultCast, have helped reignite interest in podcasts and drive more and more listeners to iTunes. Apple is always looking for ways to monetize content, and podcasting is a perfect medium for it. Currently, Apple makes no profit from having podcasts on the iTunes, store, and as a result, podcast makers have to resort to sponsorships in order to make them profitable. With iOS 6 this may all change. The new Podcasts app that Apple has released today contains a strange “Redeem” button, similar to that found in the iTunes and App Stores, present only on devices running iOS 6. Currently, this makes no sense. 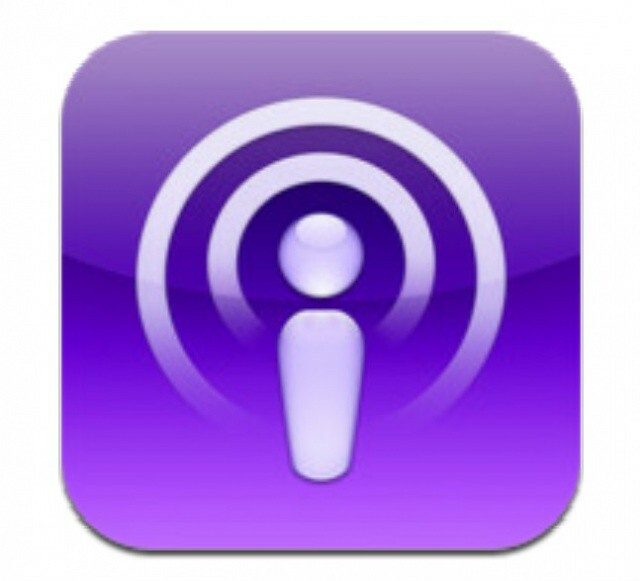 All iTunes podcasts are free, and don’t require any sort of payment method. The presence of this button in iOS 6 could, however, point to a paid subscription model for podcasts starting with the release of the operating system in fall. The new Podcasts app in iOS 6 includes a Redeem button. A subscription system of this kind could work in a way much like Apple handles apps. Publishers could charge a monthly or annual fee for podcasts, and in return for being on the iTunes store, Apple would take a 30% cut of the subscription fee, just like it takes for app purchases from developers. This system is simple enough and it provides a way for content creators to monetize their work without having to provide inline advertisements from sponsors. A system like this not only keeps listeners favorite shows free of any unwanted ads, but the revenue Apple would gain from it would likely be an incentive to promote podcasts more than they currently do, therefore driving more traffic, and in turn more revenue for the podcast producers. While nobody is positive yet on Apple’s plans for Podcasts in iOS 6, this is definitely a possibility, and it could really help tie Apple’s ecosystem together into one large media delivery platform. Nonetheless, this is all speculation for the future, but it wouldn’t be surprising if Apple did go to a model like this, considering all the unclaimed profits available in the podcasting industry.